Today Asetek announced E4 Computer Engineering as a new datacenter OEM partner. E4 Computer Engineering has utilized Asetek RackCDU D2C (Direct-to-Chip) liquid cooling for the D.A.V.I.D.E. SUPERCOMPUTER in Italy. Commissioned by PRACE (The Partnership for Advanced Computing in Europe) and installed at CINECA (PRACE Italian hosting member), the innovative OpenPOWER-based D.A.V.I.D.E. supercomputer is built on top of the IBM POWER8 architecture. 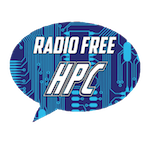 In this podcast, the Radio Free HPC team looks at the week’s top stories: Quantum Startup Rigetti Computing Raises $64 Million in Funding, Rex Computing has their low-power chip, and Intel is shipping their Optane SSDs. From Megaflops to Gigaflops to Teraflops to Petaflops and soon to be Exaflops, the march in HPC is always on and moving ahead. This whitepaper details some of the technical challenges that will need to be addressed in the coming years in order to get to exascale computing. Today AMD, ARM, Huawei, IBM, Mellanox, Qualcomm, and Xilinx announced a collaboration to bring the CCIX high-performance open acceleration framework to data centers. The companies are collaborating on the specification for the new Cache Coherent Interconnect for Accelerators (CCIX). For the first time in the industry, a single interconnect technology specification will ensure that processors using different instruction set architectures (ISA) can coherently share data with accelerators and enable efficient heterogeneous computing – significantly improving compute efficiency for servers running data center workloads.